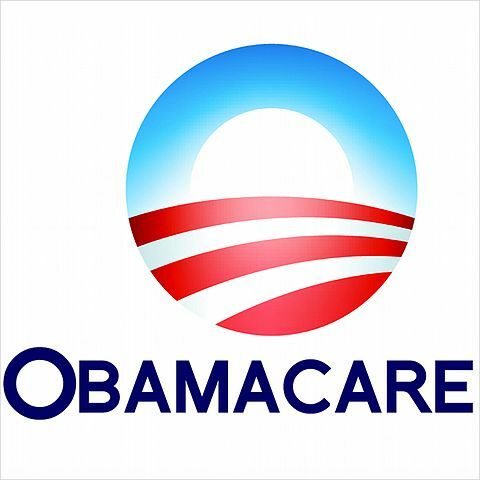 U.S. District Judge Reed O’Connor found the Affordable Care Act (ACA), or “Obamacare,” invalid. Judge O’Conner ruled that once Congress had repealed the tax penalty that enforced a mandate that most Americans get health insurance, the whole law became invalid. The ruling came a day after the healthcare insurance markets for 2019 closed. Under the ACA, individuals who failed to obtain health insurance would face a tax penalty. This “individual mandate” was considered by most to be the glue that held the law together. Republicans brought a lawsuit against the mandate in late 2010, but the Supreme Court upheld the ACA in a controversial 4-4-1 decision. Chief Justice John Roberts wrote the Court’s controlling ruling and determined that Obamacare’s individual mandate was constitutional as a tax. In 2017, Congress passed the Tax and Jobs Act (TJA) and reduced the tax penalty to zero, rendering the mandate toothless. Texas and 18 other states then sued, arguing that the revised law was still unconstitutional because of a legal principle called “inseverability” — the doctrine that some parts of a law are so essential to other parts that invalidating that one part invalidates the rest of the law. Sixteen other states argued in defense of the ACA. The Justice Department, which had been defending the ACA when President Obama was in office, announced it would not be defending the mandate any further. The Trump administration then declared that preexisting condition coverage was also invalid but campaigned in the 2018 mid-terms on protecting preexisting condition coverage. The entire argument is premised on the idea that the individual mandate is no longer enforceable and therefore the rest of Obamacare would be unconstitutional as a result. When Congress passed the TJA, it did not remove the individual mandate. Instead, Congress set the tax to zero. The theory is that if the tax is zero, then it can no longer be a tax as it wouldn’t generate revenue for the federal government. Federal codes are taxes only if they bring income for Uncle Sam. Since the individual mandate no longer brings in money, it is no longer a tax and the rest of the Affordable Care Act has no constitutional basis. The argument makes sense on the surface but is fatally flawed on analysis. The most important factor in determining whether the individual mandate remains a tax is Congress’s intent in the plain language of the text. When Congress passed the TJA, it had the option to either remove the individual mandate entirely. A clean removal of the mandate would have made it clear to all that Congress was repealing the tax. Instead, Congress took the far more complicated and subtler route of reducing the tax amount to zero. The plain language is clear: Congress wanted the individual mandate to remain in place, but the amount of revenue collected to be zero. Judge O’Connor has interpreted this revision to mean that since the amount of tax collected is zero, then there is no tax. However, Congress’s intent here is as plain as it can be: it doesn’t want to repeal the individual mandate; it just wants the revenue collected to be zero. To put another way, collecting zero tax is different from collecting no tax. There are several examples which illustrate this difference. In computer programming and arithmetic, zero is still a number that holds a value whereas “null” holds no value at all. Similarly, if my electricity bill shows a value of “zero” it means that I do not owe PG&E any money for that month. On the other hand, a null electricity bill would mean that PG&E would have no authority to even bill me in the first place. The same principles apply here: Congress chose to forego the option of removing the individual mandate outright and instead made the amount of tax collected under the mandate zero. In accounting terms, a value of zero still holds value. It may not be a positive number, but it is still an applicable column in the government’s spreadsheet. In contrast, repealing the mandate outright would have removed the mandate from the spreadsheet entirely. It is error to claim that collecting a tax of $0.00 is the same as collecting no tax. The former means that people who don’t have healthcare insurance are obligated to pay a penalty of $0.00 to the federal government whereas the latter would mean that there is no obligation at all to pay a penalty for failing to have health insurance. The distinction between zero tax and no tax is a subtle, but critical difference. Legally, the federal government is still collecting revenue on the individual mandate, but the amount owed and collected is zero. Since a tax is still being collected, the individual mandate would still survive under Congress’s authority to levy taxes. In contract and constitutional law, certain written provisions may be declared unenforceable. When that happens, the rest of the contract or the law may survive independently of the unenforceable contract or law if certain conditions are met. Plaintiffs in this lawsuit argue that if the individual mandate is unconstitutional, then the remaining parts of Obamacare must also be unconstitutional because they cannot survive alone without the mandate. Judge O’Connor determined that the entirety of the Affordable Care Act was unconstitutional because prior Supreme Court rulings and the text of the law suggested that the individual mandate was the “lynchpin” that held the law together. Medicare Expansion: Number of persons eligible for Medicare is expanded under the ACA. It would survive individual mandate repeal because it is funded by existing Medicare programs. Children Under 26 Coverage: Insurance companies are required to cover the children of policy holders until the children turn age 26. Largely funded by the premiums that parents pay and could survive without the mandate. Small Business Coverage: Small business, or businesses with at least 50 full time employees, must provide healthcare insurance for their employees. This is funded by taxes not part of the individual mandate and could survive independently. Pre-Existing Condition Coverage: Insurance companies cannot turn down anyone who applies, even if they have preexisting health conditions, such as cancer, HIV, etc. Largely funded by the individual mandate, the costs would be shifted to insurance companies without it. Essential Health Provisions: Insurance plans must offer benefits, such as ambulance care, and emergency care, among other benefits. Largely funded by the individual mandate, the costs would be shifted to insurance companies without it. Cost-Sharing Provisions: Insurance plans must cover at least 60% of the costs. Largely funded by the individual mandate, the costs would be shifted to insurance companies without it. Contraceptive Mandate: Insurance plans must cover birth control. Largely funded by the individual mandate, the costs would be shifted to insurance companies without it. Insurance Marketplaces: The federal government must maintain a “marketplace” for insurance companies to offer insurance plans. Largely funded by the individual mandate, the costs would be shifted to insurance companies without it. While the majority of Obamacare was designed to be funded by the individual mandate, certain provisions are not. The Medicare expansion, coverage for children under 26, and mandate on small businesses are all funded by sources independent of the individual mandate. Even if the mandate is unconstitutional and the remainder of the ACA is not severable, those three provisions would be able to stand on their own. However, it is not the Court’s concern if some provisions would be underfunded without the individual mandate. Cutting the mandate and keeping Medicare expansion and preexisting condition coverage may grow our deficit and force the costs onto the insurance industry and consumers. It is Congress’s job to balance the budget while deciding what programs to trim or cut. The role of the judiciary is to determine whether a law is constitutional, not whether it is good or bad policy. Complete repeal of the ACA would have a significant impact on all Americans. Even though a U.S. District Court found Obamacare unconstitutional, it is doubtful that the ruling would remain as is. As discussed above, the ACA, and even the individual mandate, could survive even if the tax penalty were reduced to zero. Judge O’Connor’s ruling will likely be appealed to the Appeals Court and then to the Supreme Court. In the meantime, the White House has said it has no places to end the healthcare marketplaces yet. Although this Administration is completely inconsistent with itself and its President, the fact they haven’t scrapped them yet is a good sign. Since Judge O’Connor declined to issue an injunction to enforce his ruling, he may realize his anti-ACA ruling is not long for the world either.